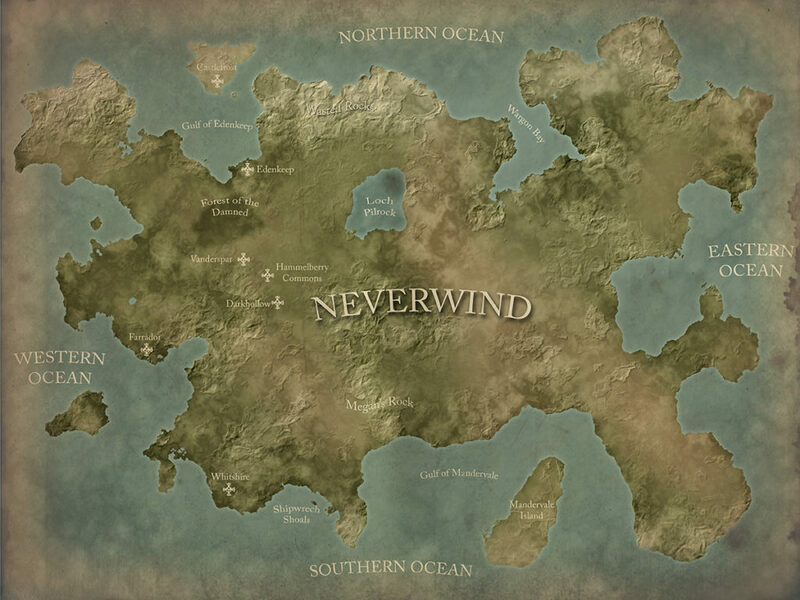 Tentative cover for The Dragons of Neverwind. It’s been a while since I’ve posted an update. With Captain Phenom published and out of the way, I planned on taking the month of January off from writing and clear my head. Less than two weeks into January I found myself starting a short story, and shortly thereafter, I had this dream in the early morning hours of a Saturday morning. This dream put me into a fantasy world with ogres, elves, wizards, and damsels in distress. When I finally pulled myself out of bed I made my way to the computer and banged out the first two thousand words of a book that the day before I had no concept of and never planned to write. Slowly I began to work out a plot and details for the characters, the world they lived in, and the details that surrounded them, as well as a cover concept and a map of the world. So for you Johnny Rockett and Captain Phenom fans, your next books will have to wait. 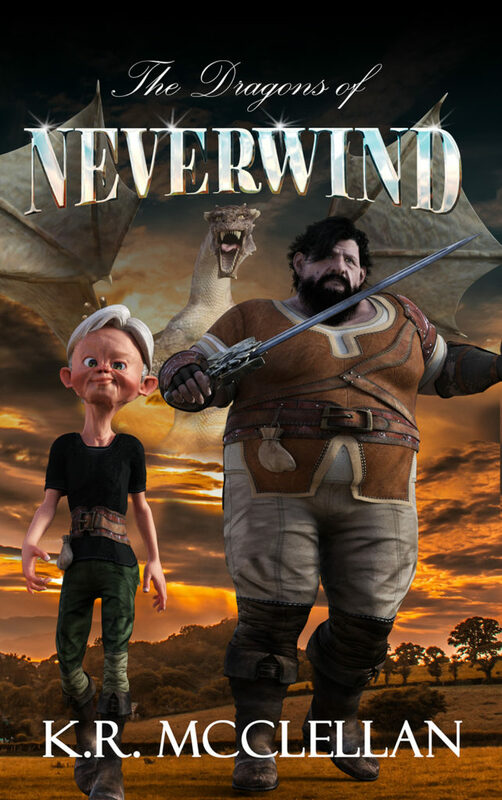 Tentatively titled The Dragons of Neverwind, this book revolves around the two main characters, Wellington, a tiny old half elf and his half ogre companion Gnath (pronounced guh-nath). They unwittingly stumble upon an adventure they weren’t quite prepared for, and with help from some new friends along the way they make a very whole-hearted attempt to remain alive long enough to see the end of the book. Unlike other books I have written, I have no time table, or daily word goal. I am telling myself I will not stress over this book, and it will get done when it gets done. Intended for the young adult audience, it has the potential to be a multi-book series, with a dash of humor, some romance, and even some good old blood and guts. So bare with me. I think this will be a fun book to read, and well worth the wait. And thank you for your continued support.